The park is known as Booker Place Park or Lions Park on Birkin Rd at Bellbowrie. 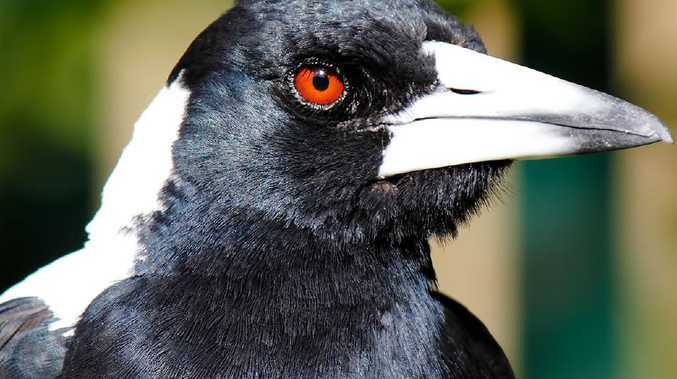 A GIRL Guide leader has warned people to beware of swooping magpies in a popular park in Brisbane's western suburbs after a shocking attack yesterday. Cat Harvey was at the Moggill Girl Guides hut around 4pm when a young girl came racing toward her with her dog. "She came running down to us screaming 'Help me! Help me! Help me!" Ms Harvey said. "I'm guessing she was about 11. She was hysterical and she was covered in blood. Her face was covered in blood, her white T-shirt had blood splatter everywhere." The guides took the girl inside and gave her a drink before tending to her wounds. "She had two cuts above her eye, scratches down her cheek and down her neck," Ms Harvey said. She phoned the girl's mother who arrived soon after. "I just want to warn people because that park is terrible at this time of year," Ms Harvey said. Ms Harvey said there are two sides of the park, and that the attack occurred on the higher side. "I guess you'd call it the toddler playground - the magpies swoop up there. On the other side where the bigger equipment is, the magpies don't seem to go down that side," she said. There have been attacks at the park during magpie seasons in the past, and Ms Harvey said there are warning signs at the park's entrance. 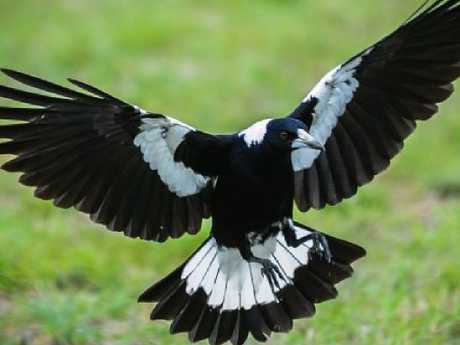 "Most people are aware of the magpies that swoop there. They're a bit nasty on Birkin Rd those magpies," she said. "(The wound) was just above her eye. It could've been a lot worse," she said. "I think during magpie season, you would say it's a no go zone. Go to the other park. It seems a lot safer."